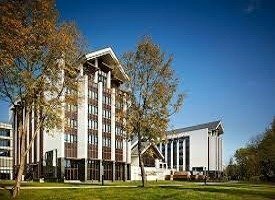 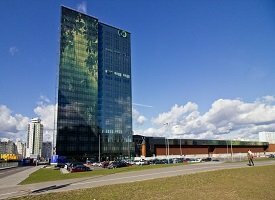 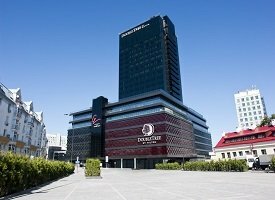 Upon arrival to Belarus there should be no worry about finding a suitable and affordable accommodation as every city offers a wide variety of choice from renting a flat to allocating in a 5-star luxurious hotel. 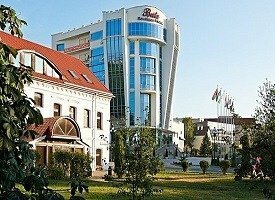 Hotels in Belarus are a part of national program of promoting the country to international tourists developing inbound tourism as a sphere of the state policy aimed at economic growth and prosperity of Belarusian nation. 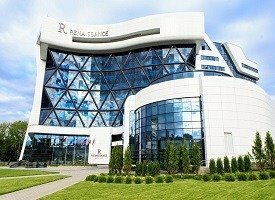 Most hotels in Belarus keep up with the international requirements and do their best to improve their service, entertainments provided, interiors and affordability to gain more stars for the future guests not be hesitant in the quality and comfort of their stay. 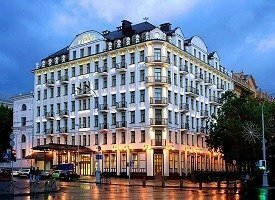 Today 3-star hotels are numerous all across the country with even smaller towns having one in its premises. 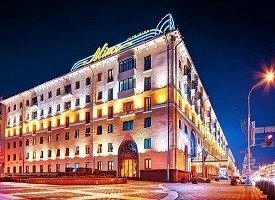 4 and 5-star hotels are mainly concentrated in regional cities and the capital city — Minsk. 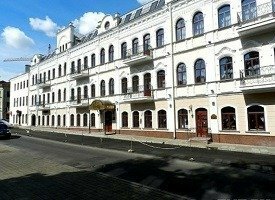 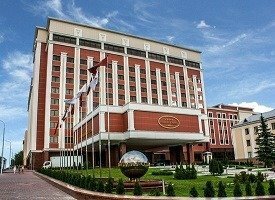 The list of best hotels in Minsk is represented on this page, for more detailed information please go to the stand-alone page of each hotel. 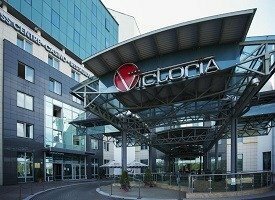 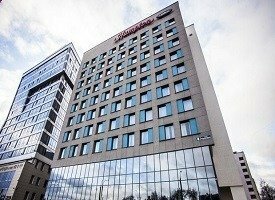 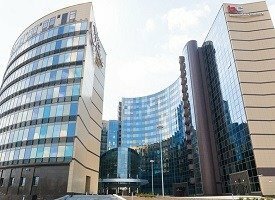 Hotels in Minsk are in demand so the city finds it necessary to continue construction of the new ones attracting international investors and hotel chains to enter the market. 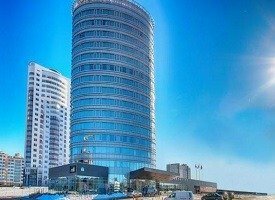 Top priority of Belarus’s policy is given to brining intercontinental and international sport events, championships and world cups to Minsk thus promoting tourism to foreigners. 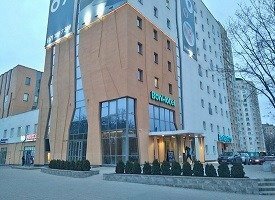 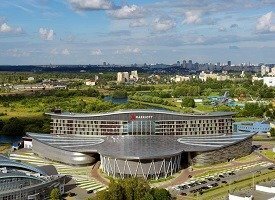 Many hotels in Minsk were built to 2014 world hockey championships with many others appearing o couple of years after the event. 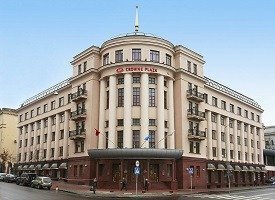 Along with modern, newly built and highly equipped hotels there are some who preserve the spirit of the Soviet Union times so the ones interested in getting the experience of socialism past of the country may find it enjoyable to dive into history and see the contrast between what was then and what is now with their own eyes. 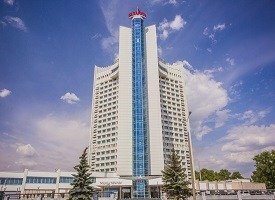 Different kinds of tourism from medical to eco-tourism contribute to the development of the hotel business in the country the rapid growth of which is clearly seen during the past several years. 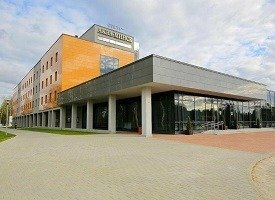 Hotels in Belarus welcome guests throughout a year and make everything for him to enjoy his stay and come back to the friendly, warm-hearted and hospitable environment.